CraigardCroft: Via campesina in Brussels : Campaign for the rights of farmers to use and freely exchange their seeds and breeding animals. Via campesina in Brussels : Campaign for the rights of farmers to use and freely exchange their seeds and breeding animals. Via Campesina is the International Peasant Farmer Organisation of which the Scottish Crofting Federation is a member. The European Parliament will be voting next week on legislation which could restrict the rights of farmers (and Crofters) to freely exchange seeds and breeding animals. In other words to have unrestricted access to crop and animal diversity. Multinationals in the crop seed business want to control the market , patent seeds and animals. These multinationals are pressuring the EU Parliament to cancel the recognition of farmer's rights to exchange their seeds and to only allow the marketing of recognised registered varieties as a prelude to controlling the world market in patented seed varieties. 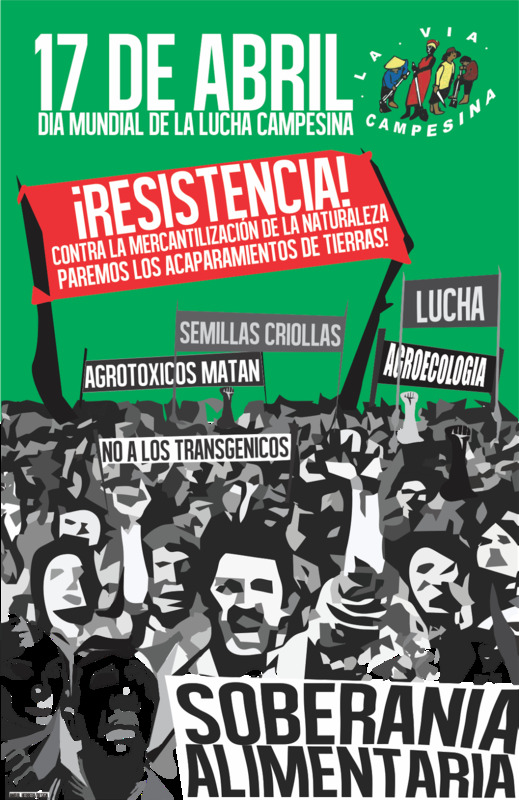 On Monday, January 20th 2014 at 13:00-Place du Luxembourg, in front of the European Parliament Via Campesina is organising a demonstration against this proposal. I do my bit by publicising the struggle and reading "The Guardian", daily! Why drive 300 km to collect hay?